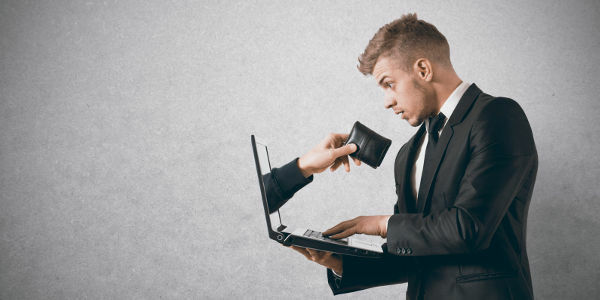 Be prepared from online attacks on your wallet in this shopping season. Greetings friends, another year have passed and the big shopping season is here. The Thanksgiving Day is knocking at the door, followed by the Cyber Monday. Every year, this is the time when we shop without thinking about anything. Not only by visiting stores, we also have become a huge fan of online shopping since past few years. But, being a respectful citizen of the US, it’s our duty to remember that it's also the biggest time for cyber crimes like identity theft. You all know about the incident that happened with Target Corporation in December 2013; a data breach affected the Target's computer systems and put a threat to 110 million customers. Some hackers hacked the system and accessed the private data of 110 million customers. Data including credit and debit card payment, all account details like the account holder’s name, account number, expiration date, and "CVV" security code were stolen from the database. Target didn’t indicate the exact number of customers who were affected from the data piracy. But, they’ve confirmed that the incident happened during the peak of the holiday shopping season. Target reimbursed the cost to several customers, but they didn’t get the success to make a settlement with MasterCard regarding the issue. Clicking every link showing discount coupon or offers is easy. But, once you click it, you can’t undo it. When you hover over a link on a web page, always check the URL before clicking.The link you’re clicking may not contain the web address you’re looking for. So, check the URL showing up at the left below the corner of your browser. If the link is not correct, search the website you want and type the web address directly in a search engine. This method is mandatory for email links you got from unknown service providers or a stranger. Unknown links, especially from the email, may cause you big trouble. Cyber criminals and imposters are setting new traps for people who normally make frequent transactions online. So, this holiday season, make your transactions safer and avoid clicking unknown links. Verify the web address before putting it in the address bar. Make sure the link says "HTTPS"; it’ll symbolize the security provider by the financial website. Also, check whether or not the lock icon is visible in the address bar. These visual symbols give us assurance that our login session is encrypted with all possible securities needed for safety. Don't share your personal information or any financial data over a WiFi or any other wireless connection. Public connections aren’t safe to perform any major financial data transfer. Your access details can be easily compromised within few moments by hackers. So, always use a private and confidential network for data transfer. Don’t use common passwords like your name, bank account number, the birthday of your wife, your car registration number, as a password. Always create a unique password using alphanumeric characters while registering in a website. There are some applications which can help you to manage passwords, these are - KeePass, LastPass, and PasswordSafe. Don't let a website remember your credit card information, especially, your CVV No. and password. The lesser you store your personal data online, the better for your safety. There is nothing wrong about that you like to shop more than anything in the world. But always sharing your shopping list in various social media platforms is not good at all. As much as you share, you’ll get a good amount of appreciation. But, you’re also attracting the thieves and crooks towards your profile. This is not good at all for your financial safety. Always check all the options. There may be some check boxes selected by default to make a fool out of you. You may opt for some unwanted services or spam. So, uncheck those boxes which you’re not interested in and select only the correct ones. Review every financial transaction and check your financial statements for unusual charges.Your financial institution may charge more than they suppose to get from you. This would help you to catch the fraudsters initially before they do any further damage. Keep your computer up-to-date. It’s important to update all your software and patches; it’ll increase your system’s security and stability. Install antivirus and internet security software to prevent harmful viruses like Trojan, Malware, and network attacks. These are the tips you need to follow to make secure online shopping and all possible financial transactions you do online. Stay safe, stay protected, and enjoy the holiday season.